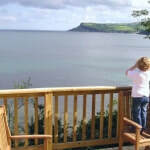 Places to stay locally on the Causeway Coastal Route. Click on the name of each place to find out more. This list is not everywhere - just some places I'd recommend! Scroll to the bottom of the page for a link to Tourism NI's accommodation page. To go to a comprehensive accommodation listing provided by Discover NI - just click here.